Groups announced for 8 teams to compete from July 6 to 11. With less than three months until the 28th Summer Universiade, the Universiade Heads of Delegation (HOD) Meeting kicked off on Sunday, April 12 in Gwangju, Korea. Over 110 delegates from 51 countries took park in the HOD Meeting. 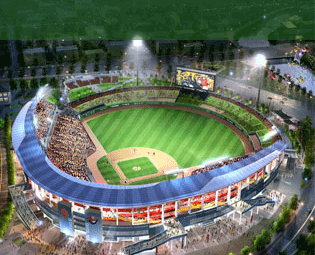 As a part of the 2015 Summer Universiade, the World University Baseball Championship (WUBC) will be staged with 8 participating teams in Gwangju, Korea. In the history of WUBC, the baseball tournament was held at the XVII Summer Universiade in Buffalo, USA in 1993, and it was staged two years after at the XVIII Summer Universiade in Fukuoka, Japan. The next WUBC after 2015 is scheduled in the city of Taipei, Chinese Taipei (TPE) in 2017 as a part of the 29th Summer Univesiade. In addition, WUBC’s have been held as a stand-alone event, i.e. independent from the Universiade in the past, with the 1st edition in 2002 in Italy, followed by 2nd in 2004 in Chinese Taipei, 3rd in Cuba, 4th in the Czech Republic and 5th in Japan. The 6th edition had been originally attributed to the Chinese Taipei University Sports Federation to be staged in the city of Taoyuan, in 2012 but was cancelled owing to insufficient number of participating teams. On Monday, April 13, the team draws for a few championships took place at the HOD Meeting and the groups for Baseball Championship were decided as follows. Mr. Jang Jung Nam (Baseball), Vice-President of the National Association of University Sports and former Head of delegation of D.P.R.K at the 2003 Daegu Universiade was the specially invited guest for the baseball team draw. Game schedule will be announced in the near future. At a special meeting to celebrate the day at the United Nations (UN) headquarters in New York,　Gwangju 2015 secretary general Kim Yoon-suk passed the Universiade Torch to International Olympic Committee (IOC) President Thomas Bach at an event held to mark the second International Day of Sport for Development and Peace. The upcoming Summer Universiade, due to be staged in the South Korean city from July 3 to 14 is expected to attract around 20,000 participants from 170 countries to compete in twelve days, across 21 different sports.